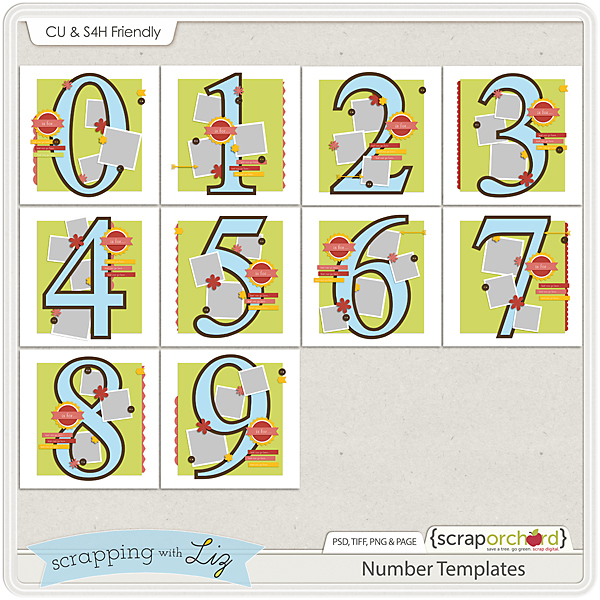 I just recently released these Number Templates. I put together a little video tutorial showing you how to combine these to make any number you want. The possibilities are endless! I do have a super old written tutorial here if you would rather read through it. Look at those templates! Speaking of which, I do have plans to make some more updated number and alphabet templates so you'll have lots to choose from. Here goes! I'm using Photoshop CS3 but the same techniques should be able to work on all versions of Photoshop.